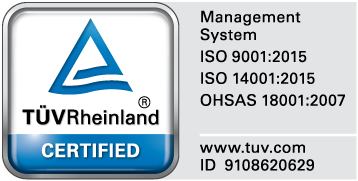 With this year’s audit by TUV Rheinland the PFF Group QHSE system has been confirmed in acc. with the new ISO standards 9001:2015 and 14001:2015. Also the existing approval acc. to OHSAS 18001:2007 has been expired for the next three years.